What Employers Don’t Want to Hear! Job interviews are not a mystery or a horror as one might think. Despite the anxiety, formality, and inevitable nervousness a job interview can bring, it can actually be both an enjoyable and informative experience. In fact, with a killer CV in check, practice and preparation, you can easily ace any job interview you are confronted with. Akhtaboot – the career network and the German Jordanian University (GJU) have signed a partnership agreement on the 16th of August, 2010 on GJU campus. The agreement focuses on strengthening the relationship between Akhtaboot and the German Jordanian University through providing GJU students with Akhtaboot career-related services as part of Akhtaboot Cares Initiative, Akhtaboot’s corporate social responsibility arm. 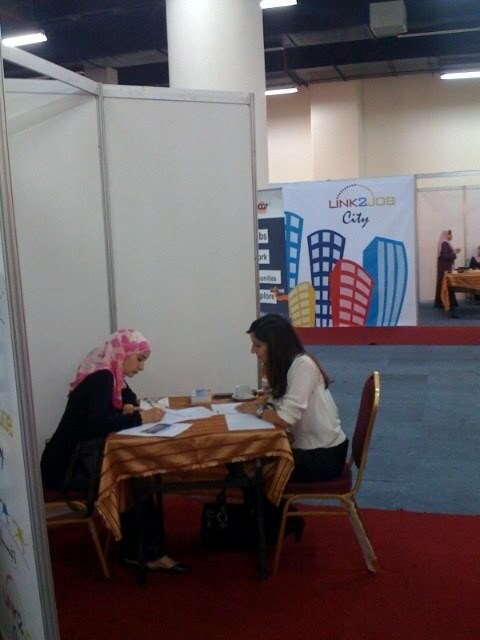 For the 3rd year in a row, Akhtaboot – the career network has partnered with INJAZ for it’s annual Job Fair, LINK2JOB City 2010, which once again proved to be a first class hiring event in Jordan. The job fair was held at Zara Expo, Grand Hyatt Amman on the 28th and 29th of April, 2010. As a main sponsor of the Career Wellness Area, Akhtaboot Co-organized and managed the Career Wellness Area (Hall C) which was divided into 4 main sections, including The CV Clinic, Mock Interviews Area, The Career Intelligence Area and The Entrepreneurial Area. As a step to fulfill the growing demand for online recruitment solutions in the Middle East, Akhtaboot – the career network – has expanded its operations to reach Jeddah and Al-Riyadh. Akhtaboot’s presence in the Saudi Market aims to provide both companies and job seekers with a higher level of onsite and local customer service. Akhtaboot’s offices in Saudi Arabia are run by Recruitment Consultants, HR and Marketing Specialists who are dedicated to provide an extraordinary variety of employment-related services for both job seekers and businesses of Jeddah and Al-Riyadh. As part of Akhtaboot’s ongoing commitment to support the young Jordanian graduates-to-be in their quest to find the right job and plan their career path, Akhtaboot – the career network participated in The University of Jordan job fair which was held on Mar 4th in the Deanship of Student Affairs. In recent years, there has been an increasing interest in education throughout the globe. Most parents are investing in their children by educating them and preparing them to face the highly demanding work environment. As a result, thousands of students graduate from universities with similar degrees. With that in mind, what really matters nowadays are the competitive attributes that distinguish you from other candidates. 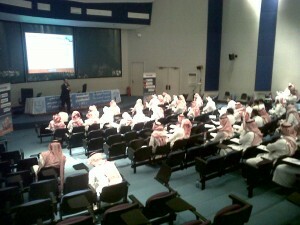 Akhtaboot presents to you the 8 essential attributes that employers look for in potential candidates. Try to master one or more in order to be able to compete effectively in the job market. Teams have become a strategic tool in organizations’ success. Due to the recent financial crisis, organizations are restructuring themselves in order to be able to compete effectively and efficiently in the highly demanding market. Management in many organizations has agreed that teams are more flexible and responsive to the continuous changing environment than traditional departments. Teams have the capability to quickly unite, organize, coordinate, adapt and disband. Employees usually underestimate the effect of their body language and their non-verbal communication. Your body language and facial expressions are very important in social settings, meetings, interviews and everyday work life. They can affect people’s perceptions of your intentions, as non-verbal communication often conveys more to listeners than the words you speak. Employees will be able to send stronger messages to their audience when their verbal language matches their non-verbal language. Here are six non-verbal signals that every employee should consider in the workplace. Jordan Ice & Aerated Water Co. (PepsiCo International Jordan) partners with Akhtaboot to recruit for its latest Management Training Program, Accelerate. Accelerate is one of the most prestigious programs adopted by PepsiCo Middle East countries to develop local leadership talents and to give exceptional fresh graduates the chance to accelerate their career and climb up the PepsiCo ladder. Akhtaboot has been & will always be our number one choice for recruiting high calibre, especially for our Management Training Program ‘ACCELERATE’. How to Answer the Top 5 Most Feared Interview Questions? Going into an interview is often described as one of the most nerve wrecking situations people have to face; that is because they are worried that they will be negatively evaluated or perceived by the interviewer. From the second you enter the company’s building to the time you are back outside, you are being observed. That’s why preparation can definitely help you turn your interview into a great opportunity to convince prospective employers about the tremendous value you will add to their organization.